I hate to admit it but I have been swept up a new technology fad. Well not really that new I suppose, just new to the general public and industry. While the technology has been around for many years, the Unmanned Aerial Vehicle, or UAV, phenomenon has recently experienced an explosion of interest. The use of this technology has been traditionally limited, for the most part, to military use with the advent initially of reconnaissance drones and subsequently unmanned combat aircraft. The use of these craft has been relegated to the dark recesses of military covert operations, however, recently there has been a rapid move into the public conciousness. You may have seen many of the numerous videos showcasing the advances in UAV and drone technology like this one. So why am I caught up in the hype? Well the big draw for me is the ability to create "ultra" high resolution imagery at a fraction of the cost of traditional manned aerial surveys. There is a wide range of payload sizes that can be attached to these craft, anything from 2 or 3 hundred grams up to 5 kilograms depending on the craft. This means that the sophistication of the guidance systems and the imaging sensors can be quite impressive. Sophisticated guidance systems (software, GPS, IMU) can allow these vehicles to collect highly accurate imagery and video. The other thing that impresses me about UAV technology...it is already going open source. I have seen a number of examples of both open source hardware and software projects (Paparazzi being and example where both come together). This makes the technology even more affordable and attainable to the technologically capable. GeoEye-1 is one of the newest ultra high resolution optical satellite platforms for earth observation (EO). With an approximate half meter spatial resolution capability, it gives the user an extremely fine view of their area(s) of interest. The sensor has five spectral bands (red, green, blue, infra red and panchromatic) which makes it ideal for a number of uses including environmental monitoring, mineral exploration and urban planning. The resolution of this sensor allows for extraction of very small features (approaching 1/10 hectare) and provides an economical alternative to air photos. Another advantage of GeoEye-1 comes from the orbit performance. With an orbit velocity of 7.5 km/sec, orbiting at an altitude of 681 kilometers, it has a repeat frequency of approximately three days. This means it is ideal for many types of change detection analysis. For example, monitoring extreme flood conditions such as those currently being experienced in Queensland, Australia, is just one potential benefit of this satellites revisit frequency. Imagery from this ultra-high resolution satellite can be acquired at regular intervals to help rescuers identify escape routes, assess areas of highest damage and monitor the changing flood conditions. This is exactly what was done during the Haitian earthquake disaster which took place last year. GeoEye-1 imagery was used to assess areas that suffered the most damage in order to more effectively target the rescue efforts. (see image above) . Other examples of the utility of this satellite platform can be seen on the GeoEye website. Hatfield Consultants is currently using this and other high resolution sensors on a project to assess the landslide potential from localized forest practices. This work utilizes not only the spectral signature information of the imagery but also the stereoscopic capture abilities of this satellite. Using techniques such as DEM extraction and principal components analysis (PCA), experienced Remote Sensing Analysts can determine the effects of activities such as clear cutting and road building from forestry projects. This can be done at a very fine scale making the output data sets, assuming availability of good ground control, very accurate and highly detailed. There are many other uses for this imagery including vegetation health assessments, crop monitoring and even construction feasibility. For more information contact Hatfield Consultants Partnership. I have recently been involved in creating a web mapping application that displays environmental monitoring locations over a very large area (approximately 7 million hectares). Of course one of the primary objectives in developing any application is optimization and performance and, with web maps, that usually means tile caching. So the development team came together (two of us in this case) and quickly decided what our zoom scale requirements were. We then tried to implement this which is where it all fell apart. Because we were using the Bing Map Service as our base layer we were committed to using the zoom scales dictated within that service. 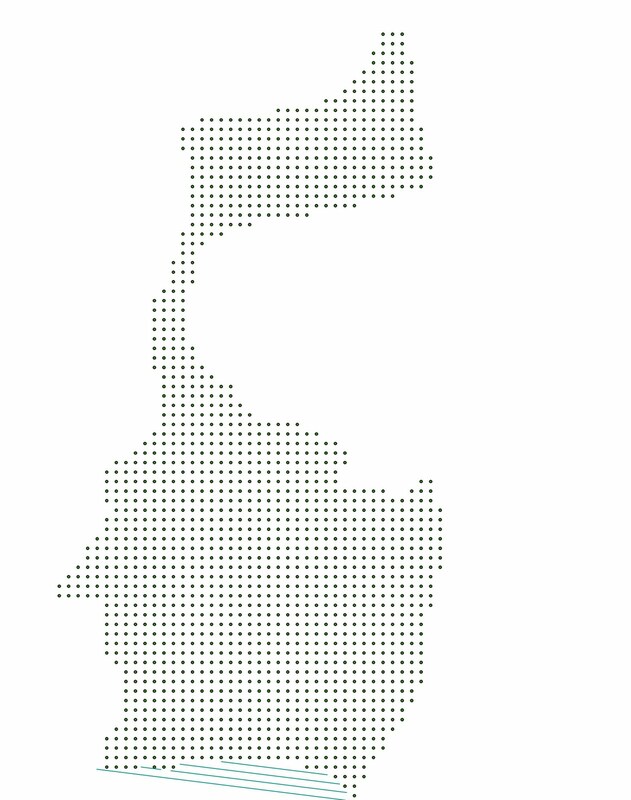 Originally we decided that the minimum scale could be set to 1:9,244,648, which is one of the Bing mid-range zoom scales, however, we felt that the maps should be tiled the the largest scale possible; 1:1,128 in this case. Here in lies the problem. If you do a quick calculation to determine how many tiles are created using this range it is approximately 89 million, YES I said 89 million. Of which 98% come from the scales above 1:9,027. When we tried to tile with those scales the process would run for a number of days without finishing. So how did we overcome this you might ask. By taking a more realistic view of our requirements and removing the unneeded scales from the tile cache. Once we removed the 3 scale values above 1:9,027 the process took less than an hour. We also made sure to have Tile On Demand checked for each service so that the tiles could be created on an as needed basis, prior to running the tile caching. Lesson Learned: Before creating your Map Service infrastructure develop a tile caching strategy which should identify the largest scale you NEED, the number of tile cache layers and which layers MUST be cached. DO NOT include scales that you don't need and cache only the Map Layers that will be accessed FREQUENTLY. Model to Script to Tool: the "Holy Trinity"
I have been doing some work for a junior mining company recently involving creating Volume/Elevation curves (see my last post). This work is accomplished in ArcGIS using Spatial Analyst and 3D Analyst which works very well but requires many steps. Over the course of this project, however, I have built a number of Python scripts that are now embedded as tools in a new toolbox in ArcMap. So I am going to take this opportunity to briefly discuss how easy it really is to create sophisticated Python geo-processing scripts in Arc and give a little example of how I recommend approaching this task. First of all I would just like to say that ArcGIS is still the most powerful GIS in my opinion (yes I am still a fan of open source but you can't argue with the benefits of having a large budget to develop good software). I like Arc not so much for it's ability to perform the geo-processing functions but more for the ancillary tools that help you find the appropriate tools and perform these tasks. Arc has built in search capabilities and very good documentation to allow users with a wide variety of skill levels find the appropriate tools. On top of that, there is a very well developed modeling and scripting environment that gives the user the capability to reproduce these tasks in a relatively easy manner. Ok, now that's been said lets get on with the main purpose of this post, to show how easy it is to create a tool in ArcGIS using the modeling and scripting environments. For this example I thought I'd use the volume elevation curve tool created for the project I mentioned earlier. I will be making reference to a number of steps that may not be clear if you haven't performed this analysis before but you can read my previous post for clarification. to the process (e.g. performing the analysis on successive elevations), for example, then you need to do this with a script. So I started by creating the model shown in Figure 1. The key here is to notice that I have created a number of "model parameters" which will show up as argument variables (sys.argv) when the model is exported to Python. These arguments will allow you to attach the fields from a custom tool to them giving the user the flexibility to add their own data, assign a range of elevations to the plane height variable and specify the output location for the delimited text file. You will also notice that there are two height variables (Min Plane Height and Max Plane Height) but only one is actually attached to the model. This is because we are planing to have an iterative model that starts at the bottom of the surface (e.g. 0 cu.m volume) and works it's way up to the top. This requires that we allow the user to assign a lower value and an upper value but because this model is only a single instance of the volume command, it can take only one value. Don't worry though, we will add the iterative properties when we edit the script. Once you have the model the way you like you can export it to a Python script (Model -> Export -> To Script -> Python). Before doing this though, I suggest testing the model to ensure it works to avoid spending an unreasonable amount of time on the scripting. Now that we have a script you can open it up in IDLE or whichever Python editing environment you like. 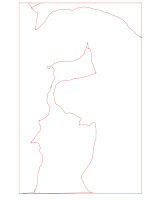 The script will look something like Figure 2 after it is first exported. Let's run through the components of this script. First of all you have to import the Python libraries necessary to run this script. In this case it is the system (sys), string, operating system (os) and ArcScripting (arcgisscripting) libraries. Right after this you need to create the geoprocessing object that will do the bull work (gp). Next you need to check out the extension(s) required for the type of geoprocessing to be done. In this case we only need 3D Analysist. Then we asign the different arguments to there own reusable variables (e.g. Output_Text_File = sys.argv which assigns the name of the output file, as provided by the user, to it's own variable). In our example we do the same for the input dam containment tin, the lower plane height and the upper plane height. You may find that you need to change the order in which these arguments appear so that the tool variables can be placed in a logical order. So if you want the input TIN to be first followed by the lowest plane height then highest plane height and finally the output text file name then you need to ensure that you set the index number for the sys.argv object accordingly. Finally we run the Surface Volume_3D function using the geo-processing object we created earlier. 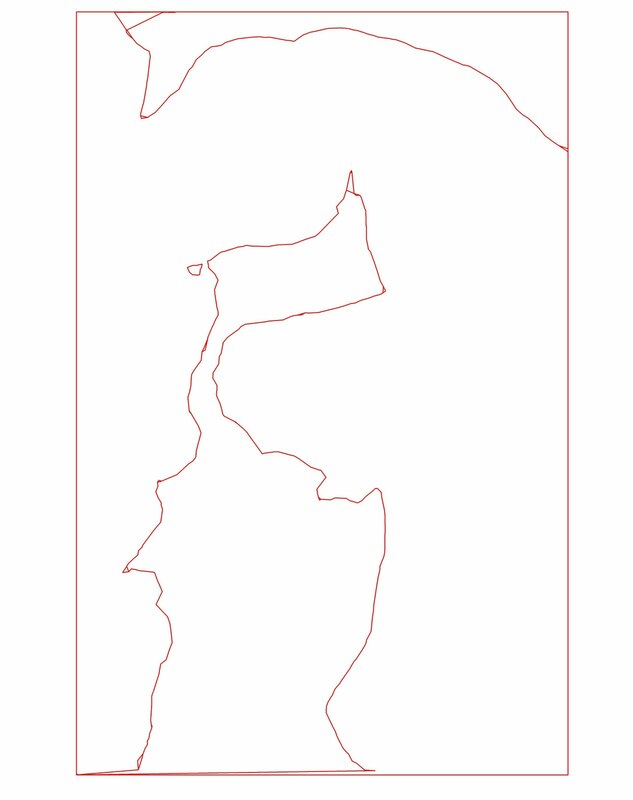 This script will do most of the work we need, however, we need to create a loop that will iterate through all the elevation changes needed to create a proper VE Curve. 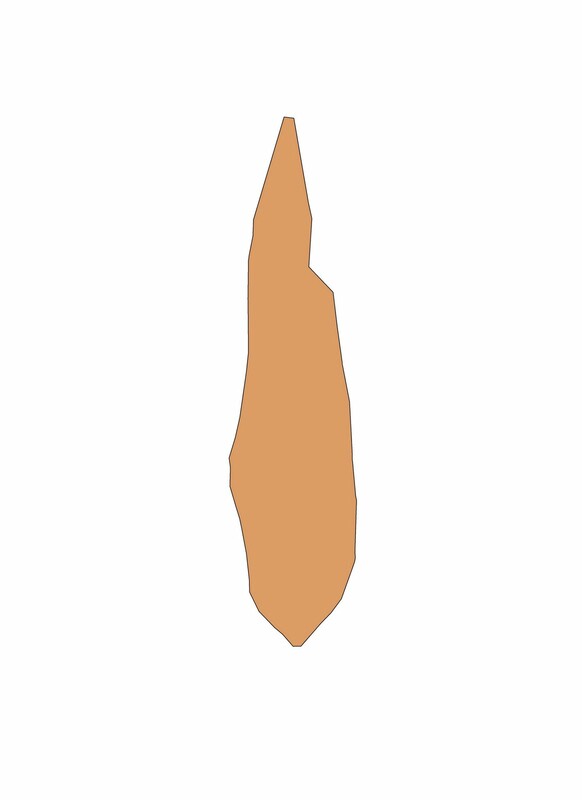 In most cases 9 - 12 points are adequate to create a VE Curve in Excel so we will create a loop that creates 9 points. You can see here how we have set up a variable for the plane height and calculated it by finding the elevation difference between highest and lowest values and then dividing that by 9 (number of points for the curve). Then we create another variable to represent the current plane height (initially equal to the lowest elevation in the containment TIN). Next we set up a loop that iterates through 9 times for which we calculate the volume below the reference plane and increase it's height each iteration by the Height_Interval. 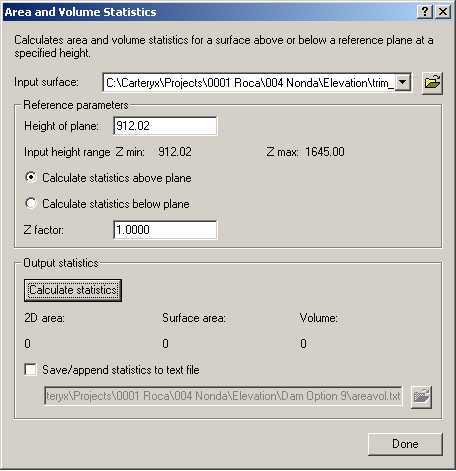 In the end we have a script that, given some user input for each of the variables, will calculate a volume elevation curve and append each value to an output text file. Now that we have the script the way we want it we need to create an ArcToolbox tool. We do this by simply importing it. I recommend adding a new Toolbox first by right clicking on the root of the ArcToolbox window and selecting New Toolbox. You should make sure to give the toolbox an appropriate name so that it is obvious what it contains. Next create a new toolset by right clicking on the new toolbox and selecting New -> Toolset. Finally, add your newly created script by right clicking on the new toolset and selecting Add - > Script, after which you will navigate to the location of your script. Once the script is added you will need to assign parameters to it so that the user can update the variables when the double click on it (see Figure 2). You get to this dialog by right clicking on the script and selecting Properties then click on the Parameters tab. You can add each parameter to the script in the logical order set out in your script. Remember that the order the parameters show in this dialog is the order they are passed to your code. This means that the first parameter showing here will be accessed in your code through the sys.argv system variable. You will also need to make sure that you update all the Parameter Properties such as ensuring input and output data sets are assigned accordingly and that Dependencies are also assigned. This last one comes into play in situations such as the requirement to select from a list of fields. Now when you double click on the script in the toolbox you should see a dialog something like that shown in Figure 3. 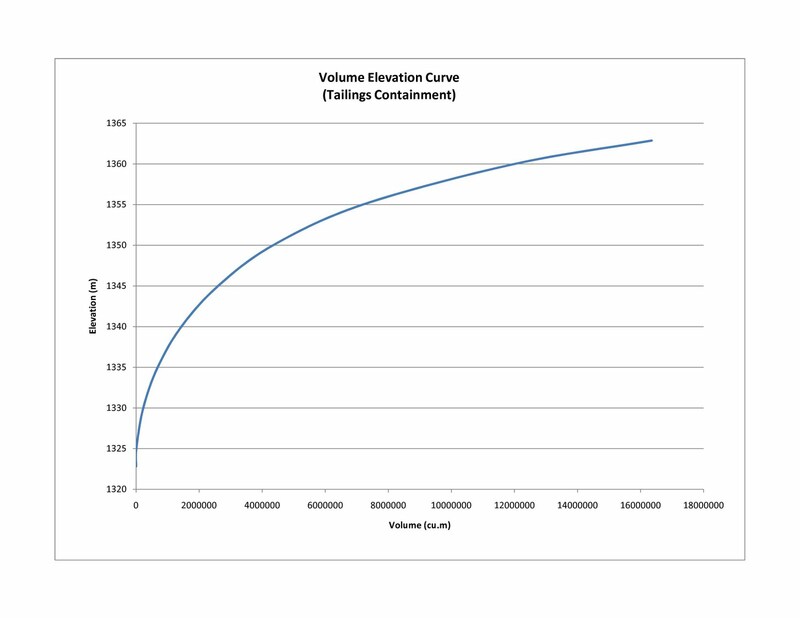 Now you should have a workable tool that will produce a volume elevation curve from an existing containment TIN. The intent of this post is not to show you how to do VE Curves but to give you a starting point for creating your own custom script based tools in ArcGIS. Hope you find it useful. I have been thinking about doing this blog for some time and have finally found the time to get to it. I have been doing volume/elevation curves for engineers for some time and have performed them in a few different applications but ArcGIS Desktop does one of the best jobs. The premise of this particular curve scenario is one in which a tailings pond is being considered for a mining operation (any mining operation). 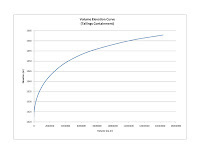 The geotechnical engineers or geologists have a calculated number for the metric output for the mine over a 20 year period and need to make sure that a tailings pond will accommodate this number. Here is my take on the steps involved in performing a VE curve analysis using ArcGIS and 3D Analyst. Keep in mind I am not an engineer or a geologist and, even though I have performed this analysis hundreds of times, it was always double checked by one of these professionals. Step 1: Creating the base surface. Assuming you have a decent DEM for the area in question you will need to import it into ArcGIS as a TIN surface. This can be done using the one of the conversion utilities in Arc such as Raster to TIN under the 3D Analyst toolbar. Assuming the data is currently in an ASCII xyz file you will need to import it as a raster first then perform the Raster to TIN function. The resultant surface will be used for determining the containment area of the tailings pond and for performing the volume calculations at a series of elevations starting at the floor of the proposed tailings area and going to the top of the containment. This top elevation will be roughly determined by the desired containment volume and the practical height of the dam. The dam surface can be created in a number of different ways. For the purposes of this exercise we will create the dam in ArcGIS. To do this we will start with a center-line that is placed across the opening of the tailings area as discussed in Step 1. 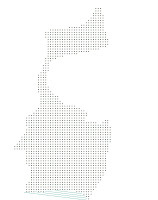 The line can be digitized into a "clean" shapefile or geodatabase feature set. You must ensure that this line crosses well over the desired elevation contour that represents the top elevation of the tailings containment. This will ensure that the resultant dam footprint overlaps the containment area. The resultant data set will need a field for elevation because the dam will be a 3D model used to finish the containment surface. Once the centerline has been established, an offset will be needed to create a practical crest for the dam. A typical offset might be 5 meters to create a 10 meter crest. Next the front and back slopes of the dam must be created. This can be accomplished by offsetting the crest to both the front and back by a predetermined distance (see Figure 1a). Because the faces of the dam are usually planar surfaces a single offset is usually adequate. 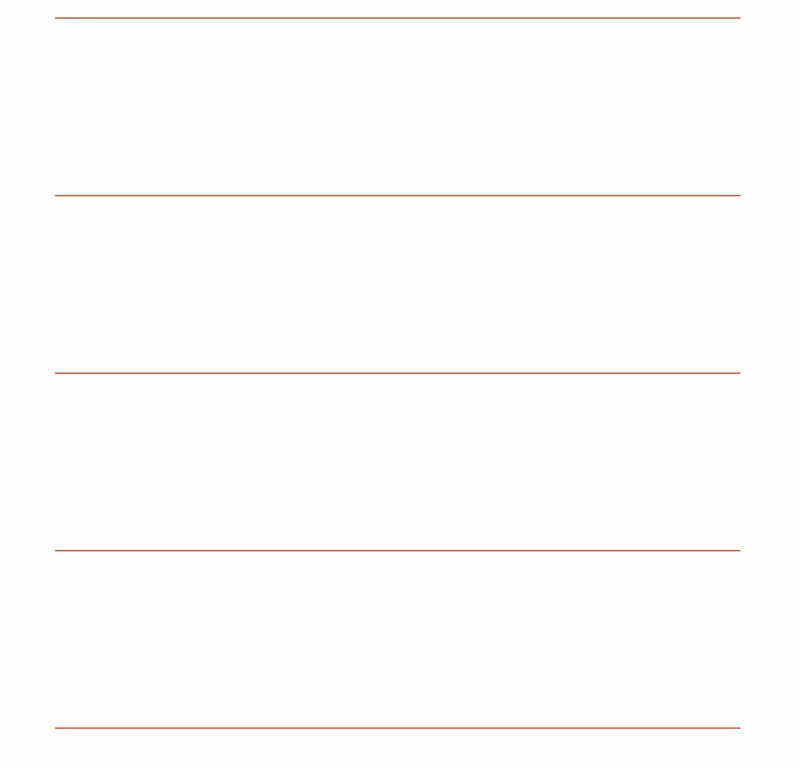 The trick is figuring out how far to offset the lines. To do this you can look at the crest height and, using the slope of the dam face, determine how far to offset the line so that the outside limits fall below the lowest elevation in the containment surface. For example, if the dam height is 50 meters and the slope is proposed at 2:1 then an offset of 150 meters will ensure that the outside line is well below the containment surface (75 meters as in Figure 1) . This step will be needed both in front and behind the dam because the dam is used for both the tailings containment surface and to establish the footprint of the dam. Finally, convert these features to a new TIN surface using the 3D Analyst dropdown menu Create Tin from Features... It is a best practice to look at the new dam surface and the underlying elevation surface in ArcScene to ensure that the dam side slopes extend well below the Elevation surface (see Figure 2). The next step is fairly straight forward. You need to acquire the area outline of the tailings containment for given "ultimate dam" height. 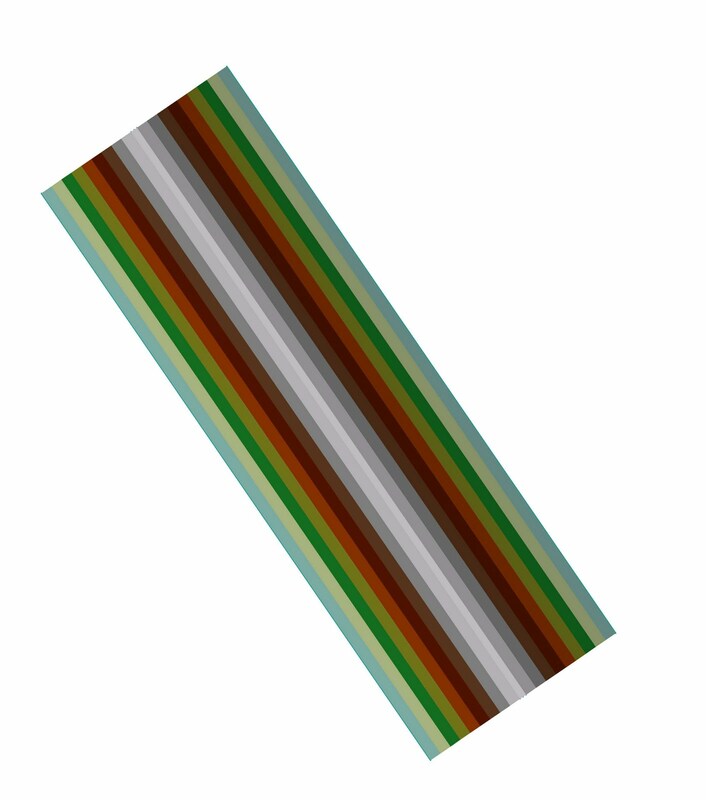 This requires that you create a planar surface at this elevation. Add a field to the data set for the elevation. 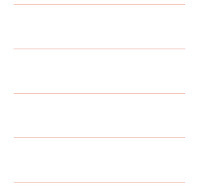 Assign an elevation to each of the lines. This will be the maximum elevation of the containment area which is usually the height of the dam minus an appropriate "free-board" or "draw-down". Create a TIN surface from the this new data set. Run the TIN Difference function from the 3D Analyst toolbox using the planar surface as Input TIN 1 and the elevation surface created in Step 1 as Input TIN 2. The resultant data set will contain the outline of the tailings containment but will be "open" at where the dam should be (see Figure 3b). This is s very simple and short step. To create the dam footprint you simply use the TIN Difference tool and assign the dam TIN you created in Step 2 as Input TIN 1 and the underlying "DEM" TIN as Input TIN 2. This will give you a number of polygons showing the difference in volume between the two surfaces. 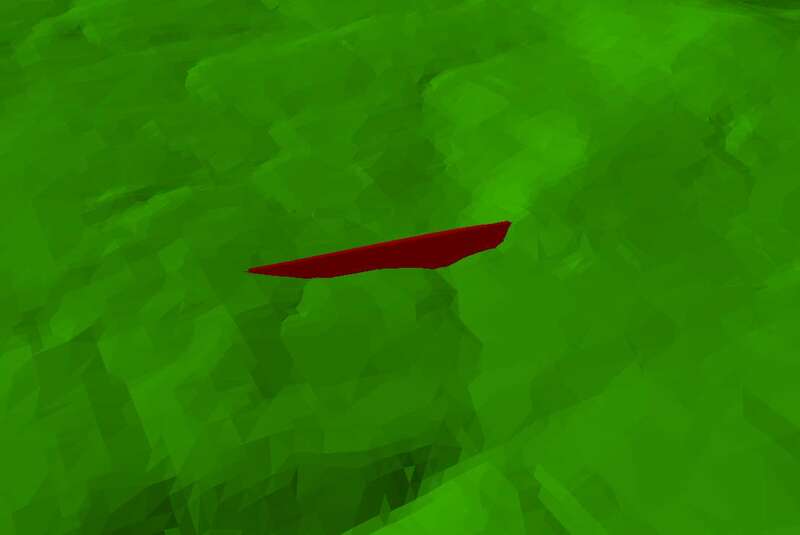 The most important polygon will be the one showing the Greater Than area which will include the portion of the DAM above the underlying elevation surface. You may also need to dissolve some of the areas that show "No Change" values to make the polygon complete. Now simply edit this new "Difference" or "Dissolved Difference" data set and remove the polygons that do not include the dam "Toe". To close the containment polygon from Step 3, you can simply run a "Merge" on the new "Dam Toe" data set and the "Containment Difference" data set. 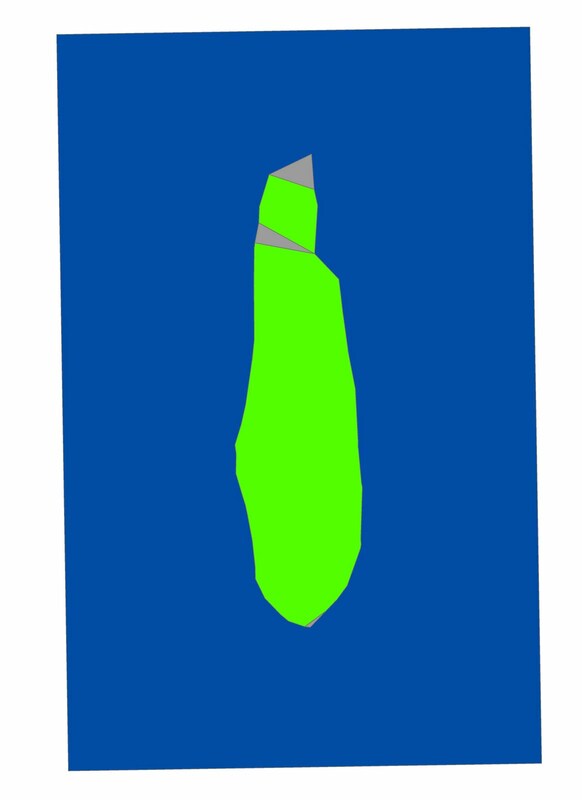 You may need to expand the "Dam Toe" dataset to cross the appropriate containment polygon to ensure that the merge is successful and you have only one polygon for the containme nt in the end. 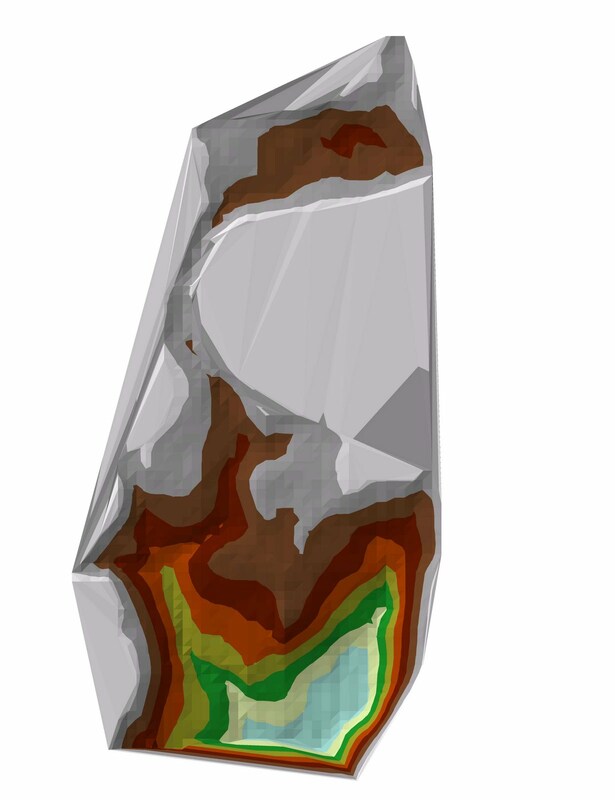 Now edit this new data set and remove all the polygons that are not your tailings containment area. Note: the step of stretching the dam toe is likely due to the detail and accuracy of the underlying DEM. Using the Map Algebra or Times tools in Spatial Analyst, multiply this containment raster with the underlying elevation raster to create an elevation raster of only the containment area. Offset inside edge of dam crest a number of times so that several end up within the outline of the dam. Create a new TIN surface that includes the elevation points created here and the new inside dam face. You will now need to open the text file you created and modify the file so that it can be used in excel. 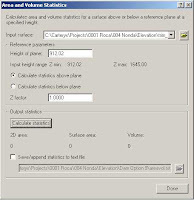 The Area and Volume tool writes a number of statistics we don't need like 2D and 3D areas so you will need to remove these. At the same time you will need to create a comma delimited file that can be opened into columns in Excel. In the end you need only the Elevation and Volume items for each iteration in the previous steps. Save the file and open in Excel. You will now need to add column headers and create the curve. To do this select the Insert -> Chart -> Scatter Chart. When prompted select your data for the chart. You will likely need to switch the columns in the appropriate series so that the volume runs along the X axis and the elevation along the Y. In the end you should have a decent looking VE curve. I hope this was helpful to those that may be new to this process. Please stand by and I will try to add other useful tutorials in the future. Where *CC is the "check sum" value and are carriage return and line feed respectively. As you can see it is really as simple as parsing out the individual values or tokens from the NMEA string. The GPS microphones being used for this project come with USB drivers that create a vertual COMM port so you can use the .NET commport control to receive the strings. It then mearly requires a way to manage the different units. In our case we created a utility to add new units and store all their attributes in a central XML file. Within the application itself we store GPS MIC classes in a collection that can be accessed whenever one of these GPWGT strings is received. This allows us to plot points for these units with unique symbols and colours. So you can see that programming to use these multi-unit GPS transceivers is not rocket science. It is quite easy to do and a usable application can be created in a fairly short period of time.